Rene Lalique Logelbach Broc: A re-offer from December 4, 2018. Now Lot 30 with the same Est. 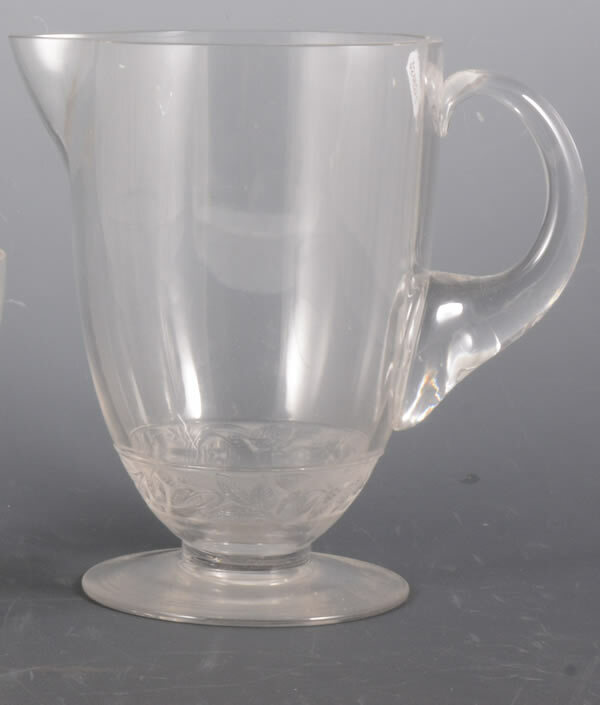 19.5 cm tall clear handled and spouted glass on round base with a band of frosted leaves decoration R. Lalique Broc selling together in Lot No. 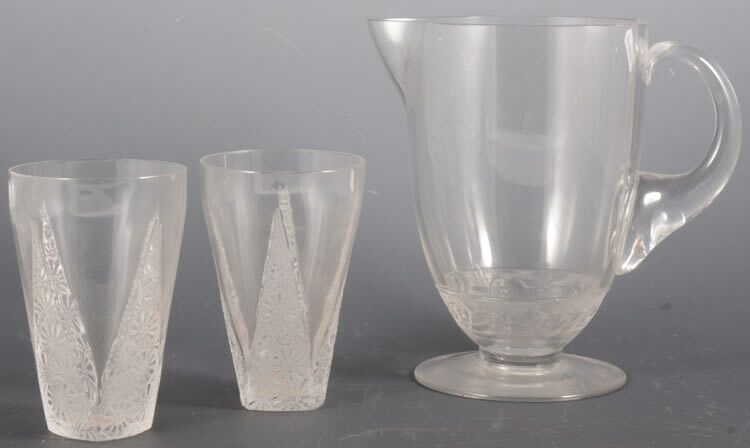 421 with six 12.8 cm Marguerites Glasses. Est: £300 - £500.